The www.bourgogne-wines.com site contains numerous links to other sites, principally the official sites of associations, professional bodies and partner companies for selective campaigns. The addresses of these pages are checked regularly, and they do not form part of the site. They do not engage the responsibility of the site editors, who may not be held responsible for the content to which these links point. Their sole aim is to give internet users easier access to other documentary resources on the subject consulted. The BIVB is particularly careful to respect legal obligations incumbent upon all internet site publishers and follows the recommendations of the CNIL, (the French Data Protection Authority). The www.bourgogne-wines.com website respects the private life of internet users and strictly adheres to current legislation on private life and individual liberties. No personal information is collected without your knowledge. No personal information is communicated to third parties. No email, electronic addresses and other personal information provided for this site is used and is only stored whilst being processed. The BIVB and the Ecole des Vins de Bourgogne undertake that the collection and handling of your data via the site www.bourgogne-wines.com is in accordance with the General Data Protection Regulation (GDPR) and the law on data and freedoms. Each form or online service limits the collection of personal data to the strict minimum, and indicates the purposes of collecting this data; whether this data is obligatory or optional for handling your request; who has access to the information (only the BIVB or Ecole des Vins, in principle, unless stated in the form that passing information on to a third party is necessary to handle your request); your freedom of data rights and the way these can be exercised with the BIVB and the Ecole des Vins de Bourgogne. 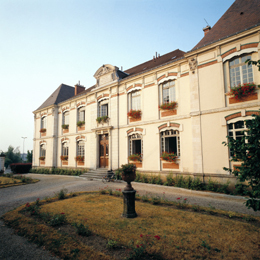 Personal data gathered as part of the services offered on www.bourgogne-wines.com will be handled according to secure protocols and allows the BIVB and the Ecole des Vins de Bourgogne to process requests received by its IT applications. For the attention of the Data Protection Officer, etc. When visiting the site, internet users leave electronic traces. This set of information is collected by a connection log called a cookie, which does not however contain any personal information. In order to improve site ergonomics, browsing within the site, editorial content and internet user service, the statistical management tool of the www.bourgogne-wines.com website may stock information relating to the profile of internet users: their equipment, the browser they use, the geographic origin requests issue from, the date and time of their connection to the site, the frequency with which they visit, etc. This statistical data is used for statistical extrapolations and is stored for one year. All internet users may prevent this data being saved by modifying the way their computer’s browser is configured, which can authorise or refuse to allow cookies to be saved. You may refuse to authorise cookies or delete them without this having any effect on your ability to access the pages on the site. In order to refuse to allow cookies to be saved or to receive an alert before accepting cookies, please refer to your browser’s help section which will specify what to do. 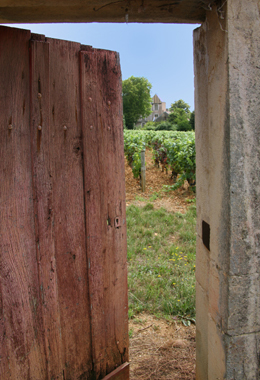 The Bourgogne Wine Board (BIVB) is the exclusive holder of the copyright of the material on its websites. Access to these sites does not authorize the user to use any content contained on the sites. The reproduction of documents on these websites is only authorized for private and personal use. Any reproduction or use of copies for any other purposes is expressly forbidden. • Deep link techniques are not employed. The pages of the www.bourgogne-wines.com website may not be embedded into the pages on a another site. They must remain visible in a separate window. • The source providing the links must be specified using an html link on the content being viewed. • Sites which choose to provide links to the www.bourgogne-wines.com website are responsible if their links damage the image of the public site. All of the photos on the site are the property of BIVB or of their authors and are used with their kind permission. - PHOTONONSTOP : pour les visuels des personnages du module accord mets et vins.